International Power Supply-on-Chip (PwrSoC) 2018 Workshop: An Outstanding Success! The PwrSoC workshops gather outstanding academic and industry experts to discuss the challenges and opportunities in technology, design, and manufacturing necessary for advancement of miniaturized integrated power conversion and management solutions. The Power Sources Manufacturers Association (PSMA) and IEEE Power Electronics Society (IEEE PELS) are joint workshop sponsors. 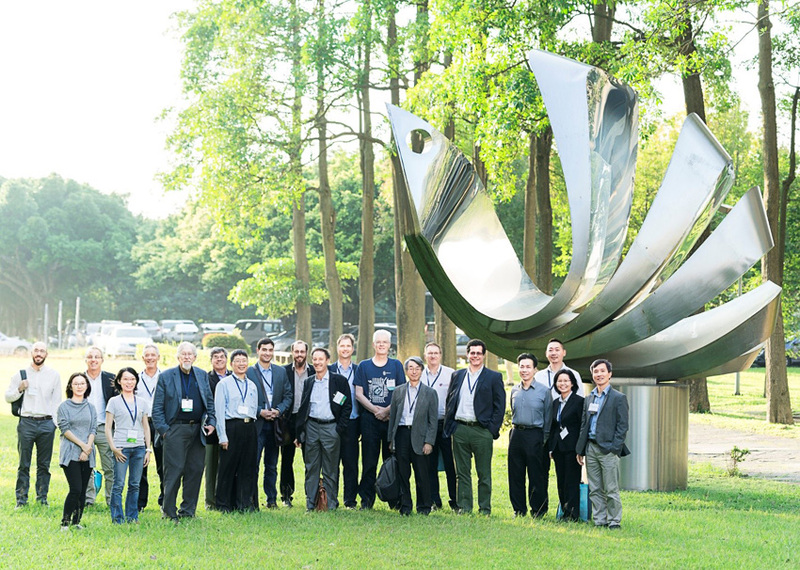 This year the excitement grew as we organized and then held the PwrSoC 2018 workshop in Asia, in one of the world's leading semiconductor manufacturing centers, Hsinchu, Taiwan. The 2018 PwrSoC Workshop confirmed the strong advancement of the critical technologies necessary to commercialize miniaturized power management semiconductor circuits integrated with associated power passive components. The Workshop maintained its single track design to make sure attendees did not miss a single learning and sharing moment. Leading ultimately to the low cost hybrid and fully on-chip solutions (power supply on chip – (PwrSoC). Introductory Remarks The attendees were warmly welcomed to the Workshop by Mau-Chung "Frank" Chang, President of the hosting university, National Chiao Tung University (NCTU) Hsinchu, Taiwan. He related the strong semiconductor technology history of the University. He was followed by Ke-Horng Chen, General Co-Chair from NCTU who suggested that the Antelects of Confucius may be helpful as attendees seek higher knowledge. He wished us a productive and exciting workshop. Next, Cian O'Mathuna, from Tyndall Institute, Cork Ireland PwrSoC Workshop founder and General Co-Chair reminded us of the 10-year PwrSoC Workshop technical historical landscape. The Plenary Session was co-chaired by Ke-Horng Chen from National Chiao Tung University, Cian O'Mathuna of Tyndall National Institute, and Seth Sanders with UC Berkeley, U.S.A. The lead-off speaker was Soh Yun Siah from GLOBALFOUNDARIES sharing results of differentiate foundry approach to wafer bonded experimental GaN2BCDMOS explaining that foundries will become differentiated to include assembly functions, followed by James Doyle from Dialog Semiconductor explaining Dialog's 8 A 0.2 mm high converter results of stage 1 (external passives) of planned 2-stage (integrated passives). Peng Zhou from Huawei presented results of on-silicon magnetic thin film inductors development results – a key step towards their granular PwrSoC progress. Finally, Chien-Fan Chen of ASE explained their Semiconductor Embedded SUBstrate (SESUB) technology for robust integrated module devices having 0.3 mm or less thickness. Session 1 Systems and Applications was co-chaired by Jose Cobos of UPM Madrid and Francisco Carobolante, U.S.A. Speakers analyzed developing approaches that are or will result in better performing power for opportunistic applications highlighted by next generation automotive system microprocessors and solid state regulators (SSRs), hearing aids, and networking systems. Session 2 Topologies and Control co-chaired by Arnold Knott of Danish Technical University, Denmark, and Jason Stauth of Dartmouth College, U.S.A., focused on powertrain circuits and controller design for on-chip and other power supplies targeting miniaturization or integration with loads. The speakers include Dr. Christopher Schaef of Intel, Prof. Hanh-Phuc Le of University of Colorado, Dr. Toke Anderson of Nordic Power Converters, and Prof. Alexandre Prodic of University of Toronto. The speakers presented the latest advances in system architecture, converter circuit topologies, including high-frequency, multi-phase or multi-level configurations, resonant power converters operating at high and very high frequencies, switched-capacitor circuits, and hybrid converter topologies that enable ultra-high density miniaturization etc., as well as control systems enabling efficient operation at high frequencies. Particular applications covered in the session include power deliveries and power conversions for high-performance processors, data center, telecommunication systems, and LED drivers. Session 3 Integrated Capacitive Devices co-chaired by Mohamed Mehdi Jatlaoul of Murata France and Vincent Chou from TSMC, Taiwan with MM Jataoul introducing PM Raj of Georgia Tech explaining that integrated tantalum film power capacitors are an attractive alternative to MLCC or deep trench approaches. He was followed by Jyun-Ying Lin from TSMC, Taiwan who shares their progress with deep trench capacitor (DTC) technology achieving 1.5 µF/mm2 with Vop range of 1.2 to 4 V. Driven by demands in IoT, Frederic Nodet of Murata (formerly IPDiA) shared their progress with tailoring deep trench capacitors for applications using multiple current injection points to reduce ELS with a roadmap of 6 µF /mm2 by 2023. Finally, Lu Ming of ILika Technologies, China introduced their 250 µAh solid state battery as an alternative narrative. Session 4 Integrated Magnetics co-chaired by Masahiro Yamaguchi of Tohoku University, Japan, Maeve Duffy of NUI, Ireland, and Charlie Sullivan of Dartmouth College, U.S.A., with Masahiro Yamaguchi introducing the speakers. The session started with Toshio Sato of Shinshu University, Japan addressing the beyond-MHz power conversion magnetics. Resulting application example was a dc-dc converter utilizing laminated Fe-based amorphous composite sheet core embedded in an organic interposer. Noah Sturcken laid out to potential users the compact circuit models for the Ferric Library of devices manufactured by TSMC. Paul McCloskey from Tyndall National Institute, Ireland shared the design, fabrication and characterization of their laminated amorphous CoZrTaB magnetic core material in a gate drive transformer. 3D micro-fabricated air-core inductors were produced by the Technical University of Denmark and applied to a 22 MHz 8.5 Vin, 3 Vout PSiP operating at 83% efficiency. Lastly, Baoxing Chen from Analog Devices presented the optimization of core and winding for the isolated power conversion micro-transformers backed by over 2.7 billion coupler channels of experience. Session 5 Wide-Band Gap Semiconductors and Integration co-chaired by Bernhardt Wicht from Leibniz University, Germany and Brian Ma from the University of Texas at Dallas, U.S.A. introduced Dan Kinzer of Navitas U.S.A. as the first presenter sharing their progress and success with the combined power and driver high voltage/low voltage GaN in an integrated semiconductor chip. Kenneth Shepard of Columbia University, U.S.A. detailed their face-to-face bonded CMOS/GaN chips as applied to dc-dc converters that can achieve 40 A/mm2. Jef Thoné from MinDCet, a Belgium start up, described their approach to designing in close coordinated focus of the WBG power transistor and its driver. Lastly, Kevin Chen of Hong Kong University provided some insight into their analysis of the WBG device Roff dynamic behavior. Session 6 Systems Integration, Packaging, and Manufacturing with co-chairs by Hsiao-Ching Tuan fromTSMC, Taiwan and Lou Hutter from Lou Hutter Consulting, U.S.A., with Lou Hutter introducing, Haoyi Ye from Delta Electronics led off by covering Delta's high frequency VRM packaging approach. One of the workshop's highlights was Tim Phillips responding to the 20 to 40 processor voltage rails by introducing to the world Empower Semiconductor's first 10 A hybrid integrated regulators with fully integrated devices on the horizon. Next, S. Koduri from Texas Instruments dove deeply into the numerous packaging issues for high density integrated converters adding that "the package is an active enabler of high power density" and "with the adoption of WBG… some additional complexities arise." Ending the session, Sourabh Khandelval of Macquarie University, Sidney, delved into the Advance SPICE Modeling (ASM) of GaN devices with verified results focused on Roff transitioning loss prediction and minimization. Session 7 Granular Power Supply was co-chaired by Miguel Rodringuez from AMD, U.S.A., and Santosh Kulkarni of Dialog Semiconductor with Pedro A. M. Bezerra from ETH Switzerland, collaborating with IBM Zurich, presented their work in highly integrated power supplies utilizing 2.5-D 14 nm CMOS. He was followed by Rinkle Jain of Intel sharing their progress in precisely powering graphic processors while coping with all their dynamics. Finally, Yan Lu from the University of Macau spoke regarding their work in switched capacitance (SC) converters, stating that the SC converters are more effective in dynamically sharing power stages for required fine grain processor voltage domains. The Workshop went successfully and smoothly thanks to our very devoted and well connected organizing team led by K.H. Chen, Cian, Hanh-Phuc, and the indispensible Ms. Tai who shepherded her local team making it a rich learning event. The Program Co-Chairs filled each session with revealing and noteworthy information thanks to their selection of valuable presentations. There were three product exhibit tables. Wurth Electroniks showcased their expanding number of 28 PSiP "MagI3C Power Modules, LED Modules up to 6 A and 60 V in range. Ferric exhibited their integrated magnetic cells from TSMC for the first possible merchant granular PwrSoC applications. Dialog Semiconductor demonstrated their 100 MHz 4-phase 8A buck converter that was highlighted in their plenary presentation. Workshop attendance reached 158 attendees, 50% above our expectation, with 81 from Asia, 41 from Europe, 35 from North America, and one from Australia. The program ended with a special treat for the attendees – a tour of TMC's historical Museum and the presentation of Hsinchu Science Park. Many thanksto TSMC, Hsinchu Science Park, and thanks to Landis Inn who provided lovely accommodations for workshop attendees. Uniquely spotlights technology and manufacturing advancement of miniaturization and integration of power conversion and power management solutions. Registration is now open for the 6th international workshop, Power Supply-on-Chip (PwrSoC18). The workshop, being held at the National Chiao Tung University (NCTU) in Hsinchu, Taiwan, October 17-19, 2018. 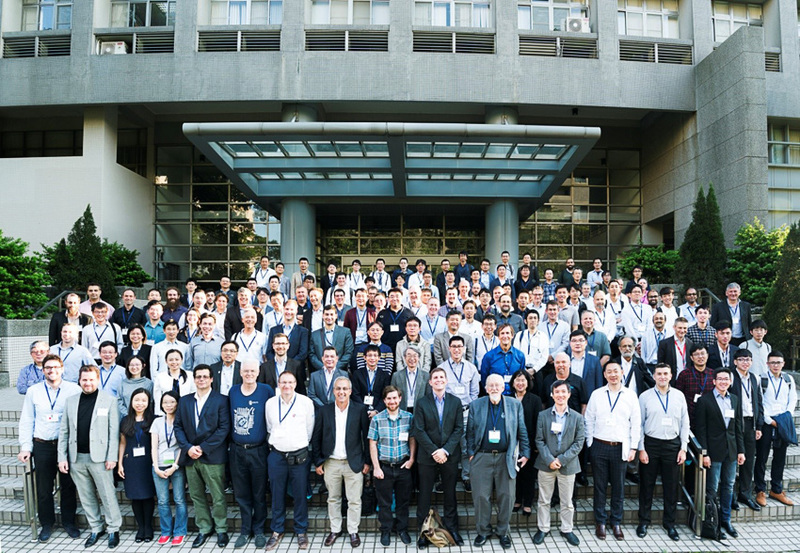 The workshop organizers, speakers, and attendees include global academic and industry experts who are focused on miniaturizing power management circuits and passive components— initially in package, (power supply in a package – PSiP) but ultimately on-chip, (power supply on chip – PwrSoC). Program participants are a 50/50 balance of industry and academia representatives from all major global regions. The Power Sources Manufacturers Association (PSMA) and IEEE Power Electronics Society (IEEE PELS) are joint sponsors the workshop. 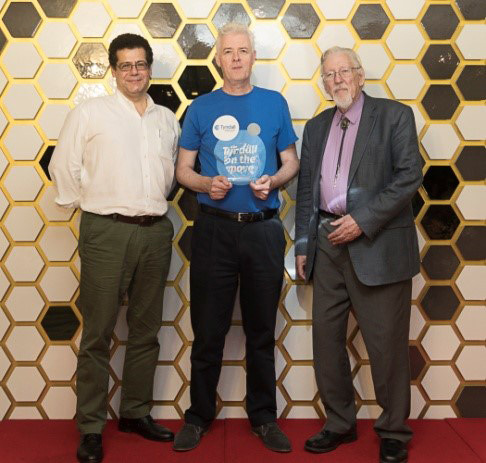 Professor Cian Ó Mathúna of Tyndall National Institute, the originator of the PwrSoC workshops in 2008 and PwrSoC18’s General Co-chair, commented on this year’s venue: "Our endeavour is global. We are excited to invite our Asian colleagues and friends in Hsinchu, a key manufacturing location, to join our workshop participants from around the world to hold this most important dialogue. Manufacturing as well as technology development are cornerstones to realizing our vision of enabling a supply-chain to deliver fully integrated PwrSoC to the commercial marketplace." Professor Hanh-Phuc Le from University of Colorado, Technical Program Chair, pointed out: "Attendees’ knowledge will be enriched by learning about advancements in converter topologies, passive component technologies, wide-bandgap devices and circuits and new concepts for integration and manufacturing. World-leading experts will discuss far-reaching goals and achievements in a wide range of applications, from powering high-performance processors to automotive and bio-medical systems." In 2018, the International Workshop on Power Supply on Chip (PwrSoC) will be celebrating its 10th anniversary. 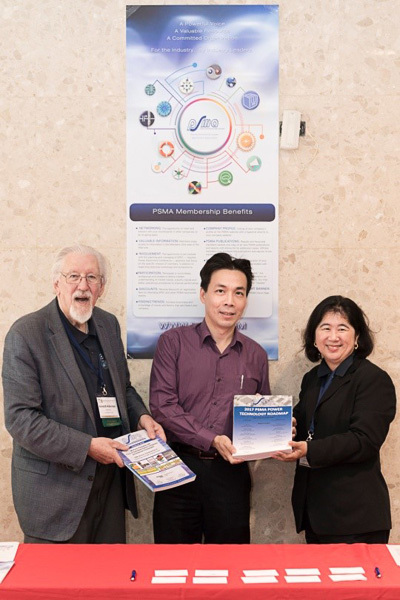 The Power Sources Manufacturers Association (PSMA), in partnership with IEEE Power Electronics Society (PELS) is sponsoring the next workshop in Hsinchu, Taiwan October 17-19, 2018. The workshop will focus on the integration of electrical power converters for multiple applications and address a broad range of technologies. The complete integration on-die (PwrSoC), integration within package (PwrSiP), and the emerging wide-bandgap (WBG) devices for integrated power management are of prime interest. The workshop covers the integration of both modular and granular electronic power converters for multiple applications, by accessing a broad range of leading-edge technologies. Since the initial events, hosted by Tyndall National Institute in Cork, Ireland in 2008 and 2010, the workshop has, under the joint leadership of IEEE PELS and PSMA, grown from early initial concepts to present emerging commercial product. From 100 attendees in Cork, the Workshops in the USA, in San Francisco and Boston, attracted close to 200 people, in 2012 and 2014. In 2016, the workshop was hosted by UPM in Madrid and again attracted more than 150 people, coming from both industry and academia. At the Madrid workshop in October 2016, the increasing commercial interest in integrated power was clearly evident. More than 150 participants were in attendance with greater than 50% from companies across the broad microelectronics supply-chain. Attendees were from semiconductor equipment vendors to foundry and fabrication facilities and OSATs (outsourced assembly and test houses) to power converter and passive component suppliers, system-on- chip (SOC) and electronic system companies. We are fortunate to have the National Chiao Tung University (NCTU) in Hsinchu hosting the 2018 workshop. The General Co-Chairs are Professor Ke-Horng Chen, Chair of the NCTU Department of Electrical and Computer Engineering, and Professor Cian Ó Mathúna, from Tyndall National Institute, the workshop series originator. Given the current level of industry interest in the technology commercialization and the monumental challenge that poses, it is appropriate that the 10th anniversary workshop should be held in Taiwan, the global center of microelectronics manufacturing. Prof. Chen says, "I am honored to co-chair the 10th PwrSoC workshop in Taiwan. I believe Taiwan's successful experience in IC design, manufacturing, packaging and systems will surely bring more diversity to this year's workshop. The workshop will gather academics and industry experts from the United States, Europe and Asia with innovative and progressive technologies that provide a global breakthrough in PwrSoC and PwrSiP technologies. Professional attendees of this workshop will make it more successful. Wonderful PwrSoC organization will give participants a feeling of excitement with beautiful landscape and delicious foods in Hsinchu, Taiwan in addition to interesting technical discussions. Finally, academics and industry in Taiwan look forward to VIP participations from all over the world." The Technical Program Chair for the 2018 workshop is Prof. Hanh-Phuc Le, Dept. of Electrical, Computer and Energy Engineering, University of Colorado at Boulder. Prof. Le is a very familiar participant in past PwrSoC events, chairing several granular power sessions. He is organizing the Technical Program Committee over the coming months and still needs plenty of help. Anyone interested in participating, please contact Prof. Le directly. Prof. 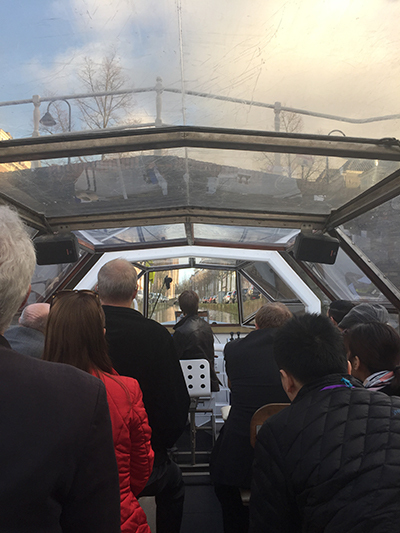 Le explains, "Building upon previous successes, we are expecting a very insightful technical program this year, with a choice team of session chairs from both academia and industry from the U.S., Europe, and Asia. We will bring to our workshop experts with diverse innovations and technical advancements to address the critical needs in PwrSoC, including capabilities of higher input voltages and larger output currents, higher efficiency, while consuming smaller volume/conversion ampere. Particularly, we will focus one session on the challenges and possible solutions for more integrated Wide-bandgap devices that are expected to push the present limits in PwrSoC design. I believe this will be a great workshop, definitely worth attending for everyone concerned with energy efficiency, integrated power electronics design, manufacturing, and cost." Our workshop will follow the successful formula from previous workshops with a single track of invited presentations and posters. Oliver Chen, Senior Engineer, Mediatek Inc.
PwrSoC 2016 brought together key players involved in the value chain of the integration of both modular and granular electronic power converters for multiple applications, by accessing a broad range of leading-edge technologies. There was an excellent mix of attendees with two-thirds from Industry and one-third from Academia. Impressive and spirited discussions took place in the Q&A sessions, where current and next generation technologies were addressed in these invited, non-public, presentations. Complete on-die integration and integration within package were of prime interest. System performance required by current and emerging applications demand ever-greater current density, voltage regulation and optimized control, form factor reduction, high efficiency, and cost reduction. “Fast moving technology”, was the general feeling in all the sessions, showing significant advances on the integration of power semiconductors, energy storage, inductive and capacitive components, topologies and control, and manufacturing technologies. 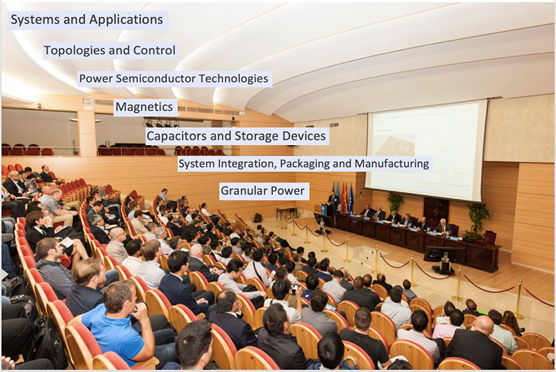 The 156 attendees discussed and networked about next generation Power Supplies on Chip at the ETS Ingenieros Industriales de Madrid (UPM). 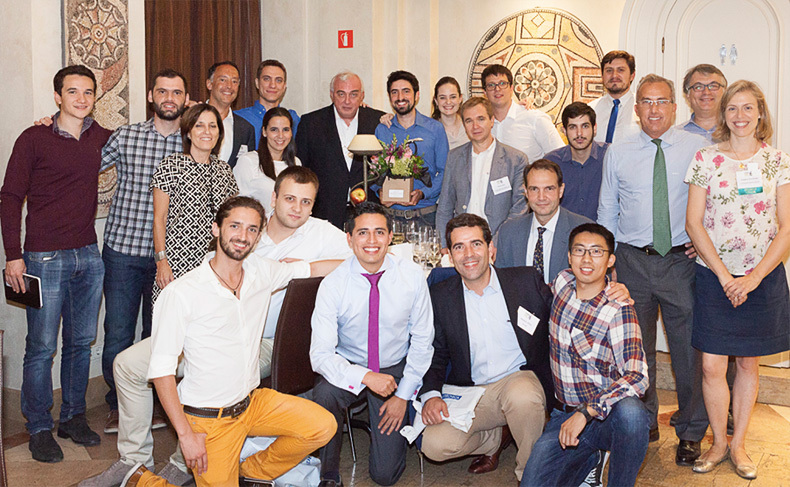 The attendees represented a very good balance between the sponsors — 26 percent from PSMA and 24% from IEEE-PELS. 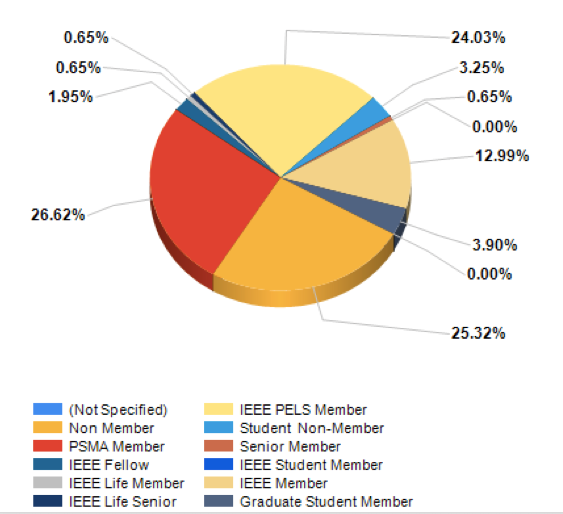 An additional 25 percent were non-members, and 13 percent were IEEE members from societies other than PELS. 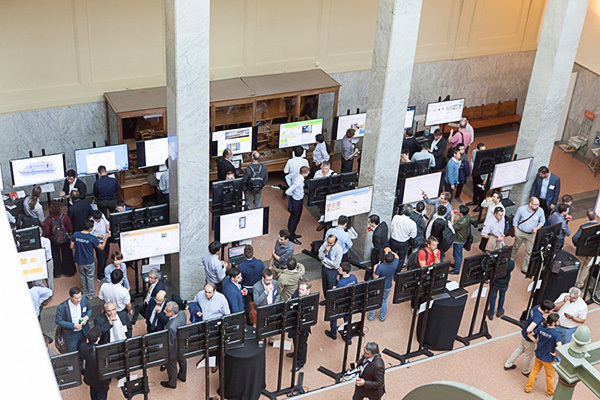 A program of 32 excellent E-posters were presented by industry and academia, from Europe, Asia and America, covering a broad range of technologies and innovations. There were lively discussions during the over two hour session. PwrSoC is unique in bringing together international experts with strong background in fundamentals and basic research, technology development, IC manufacturing and system integration. They all had the opportunity to socialize and network in the impressive welcome party organized by CEI students and sponsored by Qualcomm. At the social event, a cocktail hour was followed by a banquet, where all attendees enjoyed Spanish cuisine in the midst of the historical Madrid district. The contribution and leadership of Arnold Alderman and Matt Wilkowski, the General and Program Chairs of PwrSoC 2014 was recognized. The students of the Center of Industrial Electronics (CEI-UPM) discussed with the PwrSoC attendees their recent activities in power electronics, ranging from a few mW to tens of kW, from wireless power to rectifiers and inverters for aerospace applications. The Program and Organizing Committees worked hard and set up an excellent program to identify and invite the key individuals in the field. In the photo, the attendees gave public recognition to the students and staff who helped in the local organization of the event. This latest event consolidates PwrSoC as the most challenging workshop in the integration of low power conversion. PwrSoC was started in Ireland in 2008 and 2010, and soon became a global event. PwrSoC was held in San Francisco in 2012 and in Boston 2014. After Madrid in 2016, it will be held Taiwan in 2018. Current plans are to rotate the workshops worldwide - Europe, America and Asia. Information regarding the workshop can be found at www.pwrsoc2016.org, where all past presentations and e-posters are available to the public. PwrSoC 2016 presentations will also be available in April 2017. Workshop on little power supplies a BIG success! he 4th International Power Supply on Chip (PwrSoC) Workshop convened October 6, 7, and 8 in Boston MA. The PwrSoC Events are sponsored by PSMA Power Electronics Packaging Committee and IEEE/PELS and have been held every two years since the first workshop in Cork, Ireland in 2008. We are pleased to report that the 2014 Workshop was a splendid success with a record 190 attendees. A majority 72% of attendees were from US/Canada, 20% from Europe and 7% from Asia. It was great to see many commercial companies contributing to our Workshop with a 65/35 balance between industry and academia participants. Arnold Alderman of Anagenesis, this year’s General Chair, opened the Workshop with a welcome to the attendees and stated that, “We are fortunate to have Northeastern University College of Engineering (NUCOE) host our Workshop. Our activities will be held on multiple levels of the Curry Student Center in the heart of the university campus.” Professors Nian Sun and Brad Lehman both of NUCOE provided additional opening remarks to welcome the participants to hospitality and diverse activities of Boston and to take advantage of the enthusiasm of the university environment. The workshop opening was highlighted by a welcome from NUCOE Dean Nadine Aubry, wishing us a very creative and exciting three days at Northeastern University. We expressed our delight to have the additional support from Platinum Partner Altera Corporation, and Silver Partner Mag Layers, Inc. The Workshop success can be attributed to our outstanding Technical Program of 33 invited presentations (http://pwrsoc2014.org/presentations.html) and 32 posters (http://pwrsoc2014.org/poster.html). This year we included a plenary session appropriately chaired by Cian O’Mathuna. We heard visionary talks by Bruno Allard from Ampere-Lab, Lyon, France; Seth Sanders from UC Berkeley, and Francesco Carobolante from Qualcomm. The technical sessions, led by Matt Wilkowski, Program Chair, started with identifying strategies that address system, topology and circuit approaches to meet the requirements of both present and emerging applications. It included responding to the demand ever-greater current density, optimized control, form factor reduction, higher efficiency, while reducing cost. Accordingly, the remainder of the workshop focused on the integration of both modular and granular commercially successful miniature power converters that include magnetic and capacitor power passive elements designed for multiple applications. Presentations on power semiconductors, device packaging, and manufacturing filled out the rest of the sessions with an eye towards on-die integration and integration within package. The presentations and e-posters will be downloadable from a password protected section of the Power Supply on Chip Workshop website beginning in late November. After June 2015, the presentations and e-posters will be downloadable from a publically accessible section of the website. We believe the workshop’s success was also largely derived by the incredible increasing global interest in power supply on chip development and commercialization. That interest level was validated by the boundless interactive dialogue during the Q&A portion of the technical sessions that spilled over into the breaks and the reception on Monday night. 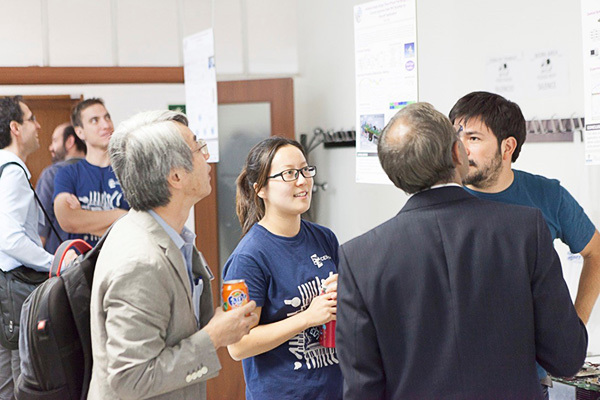 We always complement our technical sessions with a poster session that provides an opportunity for many more participants to share their ideas and work that encompasses all of the PwrSoC technical disciplines. This year we upgraded our poster session with interactive flat-panel displays. The posters session of the technical sessions allowing in-depth one-on-one dialogue between the attendees and the presenters using the synergy of e-posters as a vehicle to initiate discussion for thirty plus relevant topics over a three-hour period. Additionally, Professors Nian Sun and Brad Lehman organized tours of electrical engineering laboratories acquainting attendees with the many relevant and significant research programs ongoing at Northeastern University capably and enthusiastically presented by NUCOE’s next generation power electronics engineers and scientists. The PwrSoC Workshop has had strong leadership from its beginning. The PwrSoC Events Steering Committee, fully recognizing this, surprised Dr. Cian O'Mathuna with the PwrSoC Events Founder's award for all of his effort to create the PwrSoC Workshop and nurture it into a mainstream event. The Steering Committee also presented an award of appreciation to Dr. Seth Sanders for his strong leadership as General Chair of PwrSoC 2012 Workshop. The success of PwrSoC 2014 is owed to the tireless efforts of the members of our Organizing and our Technical Program Committees. These committees were represented by Altera, Ampere–Lab, Anagenesis, Analog Devices, AT&S, Dartmouth University, GLOBAL FOUNDRIES, Infineon, Lion Semiconductor, LTEC, Maxim, MIT, Northeastern University, Qualcomm, Tyndall National Institute, UC Berkeley , University Polytechnic Madrid, University Polytechnic Catalunya, , University of Toronto, and the US Army Research Laboratory. At the end of the workshop technical sessions, the organizing committees completed an assessment of the current workshop based on feedback and comments from the attendees. The assessment would form a basis for improvements for future workshops. Past assessments led to: our having more networking time at various points throughout the workshop; a Monday evening reception; interactive dialogue during the Q&A portion of the technical sessions; continuing a bi-annual agenda; holding the workshop multiple global regions; and staying with the workshop format rather than moving on to a conference format. Then, we started planning for our next workshop. The PwrSoC Events are alternately led by IEEE/PELS and PSMA. 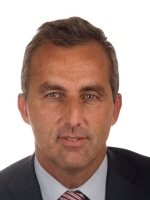 Accordingly, the next workshop will be held in the fall of 2016, in Madrid Spain led by IEEE/PELS, with José Cobos from the Technical University of Madrid (UPM) as general chair. PSMA will be leading the PwrSoC Workshop in 2018. Location yet to be determined. In the interim between the current workshop and the 2016 workshop, IEEE/PELS is organizing an editorial team to create an issue of the Journal of Emerging and Selected Topics in Power Electronics (JESTPE) dedicated to Power Supply on Chip focusing key papers written on the technologies enabling PwrSoC development. Although this journal is not directly associated with the PwrSoC workshop series, it complements the PwrSoC workshop series, allowing presenters and attendees the opportunity to formally publish their ideas and realizations.